Are you a mom who’s super busy with life and family, but secretly wants to pursue a passion, talent or business idea? Maybe you’ve already stepped out to start your Passion Project but quickly got overwhelmed and quit. No judgment, here. Been there! 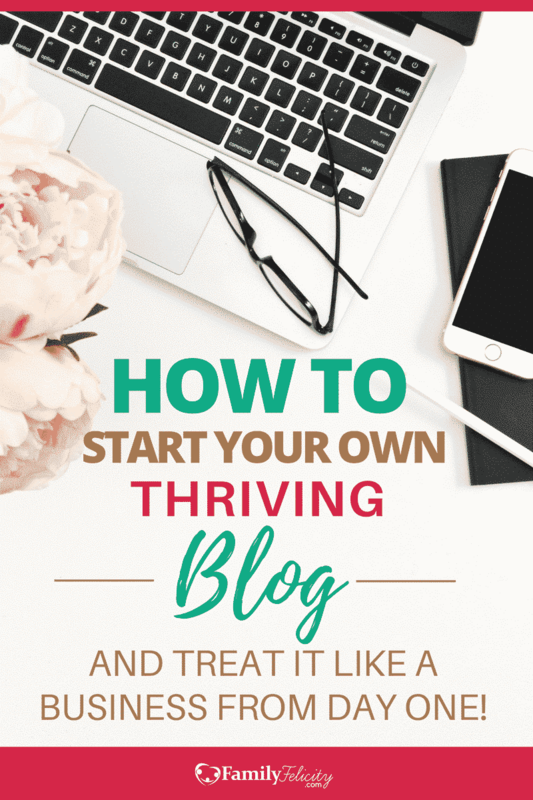 Or you’re like me and already have a growing blog and business but still need practical advice on keeping everything balanced. No matter where you are, pursuing a passion is a really big deal because for most of us – it leaves us feeling vulnerable and exposed. Entering… life outside of good ole’ comfort zone! It’s also a whole lot of work and dedication if you’re all in, but your Passion Project is all your own and can be extremely satisfying! So let’s talk about the giant elephant in the room… lack of TIME! The real reason this is such a major issue for moms is that we want to care for our families well and keep them first place on our Life’s Priority List. Adding new things to an already full plate can be scary, for sure. Let me show you how chasing your passion just got a whole lot easier! Start by letting your passion be known by your spouse and kids… if you haven’t already done this. Let them know why this thing is your passion and even how you believe it connects to your life’s purpose. You’d be surprised how supportive your family can be, and how they are sometimes just the perfect people in your life to help you in your passion. My Passion Project is this blog. I LOVE writing and sharing what I’m learning about raising and family and becoming the best version of myself. FamilyFelicity.com is growing and growing and I couldn’t be more thrilled. The best part is, it’s really a family project! My husband how’s a genius tech and online marketing Pro helps me with all my tech and advertising stuff. And my oldest daughter who is an AMAZING artist is working on some graphics and products that will be offered in our store later this year. I’ll be honest, I started this blog a few years ago all on my own. That was my choice and a result of my own insecurities. Once I got out of my feelings, and let other people into my project – things began to soar. Maybe your husband isn’t supportive of your passion or your children are too little to understand. In this case, keep a positive mindset and as long as there isn’t any conflict over what you’re doing… keep working at it! Ruth Soukup and Crystal Paine both tell stories of them stepping out in their passion for blogging. Their husbands both didn’t see how anyone could make money from blogging but they both forged ahead and now make thousands each month from their blogs! So what does that look like for the stay-at-home mom of 4 kids under 8 who’s living room constantly looks like a toy factory explosion, or the working mom who has very little margin left at the end of her long day to cook dinner, or the work-at-home mom who’s ready to pull her hair out trying to balance play-dough and business plans at the same time? Whether you’re in the early stages of motherhood or soon to be an empty-nester, there’s a grace to follow your dreams right now. That grace isn’t just the ability to “DO” things in this season, but also to “NOT DO” things. That means, scaling back, delegating, or taking a break depending on where you are! Or better yet, saying no to what doesn’t fit, so you have more time to focus on what does. There’s a grace to fit together creativity the things you’re led to do, and equally the grace to say no to the things you aren’t. Knowing this takes the pressure off, and allows us to stop waiting for the perfect time to step out. There’s always going to be a little chaos and a whole lot of juggling no matter what. The only perfect time is now! This post is specifically about helping moms balance their family and their passion, and we all know how crazy motherhood can be on a good day. That’s why taking baby steps is a great strategy for jumpstarting your Passion Project. One of the best ways to do this is to see how your passion, gifts, and talents can be used to serve others. Again, during the very busy season of motherhood, this idea can immediately feel overwhelming. I’m not talking about opening a non-profit or starting a new ministry here. Just start serving others in your area of passion, using your gifts and talents. Related Post: 27 Super Easy Ways to Purpose Your Passion as a Crazy Busy Mom. You can volunteer in your church for a couple hours a week, you can make crafty things and donate them, or you can join a group of like-minded people that align with your passion. The only thing you MUST do is… Put your Passion On The Calendar! Remember Ruth Soukup and Crystal Paine? They both made big sacrifices of their time to make their businesses happen! Crystal Paine ran her very busy blog and homeschooled her kids at the same time. Ruth confesses spending months and months waking up at 3 am to work on her blog before she ever made a dime! That’s determination and dedication. Do you have that same bull-dog tenacity to keep going even if no one else understands? The good news is, if you stick it out long enough – your success will be evident to others. Both Crystal and Ruth were able to retire their husbands and they gladly came to work in their new family business! Carving out a dedicated amount of time every day or every week is extremely important to your success. First, start by determining your most productive and creative time of day is… midday, early morning, or late night. Then do your best to get creative and carve out at least an hour a day to work. Soon that time will be like a habit and one you’ll guard and protect. You’ll be amazing what you can accomplish in one hour a day! It’s certainly more impactful than zero. One more thing, when your kid wakes up with a fever and is sick for a few days or something else unavoidable comes up, drop the work if you can. Mommy is your first priority and everything else comes second. Being the best mom you can be is always the best choice you can make. When you make the most important choices, things always have a way of working themselves out in the end. What’s your business or blog idea? How are you staying sane and keeping things semi-balanced? Please share your ideas in the comments below! Thanks! Very helpful. I found it so difficult as a musician to tie that into my family life, so I had to take a step back from that. With blogging I can really include them in every piece of it! Yes! That’s why I love blogging so much. It’s perfect for moms for sure! I have realized that looking at the big picture of my goals and putting the steps to achieve it into bite size pieces REALLY helps me not to feel so overwhelmed. I love my blog and that it allows me the opportunity to work from home with my toddler son. I have to take care to be mindful of him throughout the day but I wouldn’t trade it for the world! 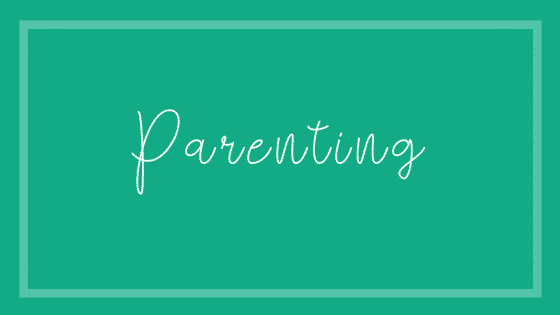 Blogging at home with kids is perfect for moms but also a delicate balance! The Crystal and Ruth stories are so inspiring. I love this post! This has been one of those crazy weeks where blogging has had to take a back seat. Maybe I should get up at 3 am before the kids get up so that I can catch up. I believe we can do more than we give ourselves credit for sometimes. I know that’s true for me. When it’s love and passion driving you… you find a way! And taking a time-out when life is crazy is OK too! Hope your week gets better quickly! I wouldn’t be able to pursue my passion if it weren’t for my husband’s support. He helpsout so much, checks in on my progress and never questions the time I spend on it. What a great idea to get the family involved! I am sure you will have a page or another blog for each child in years to come to expand that creativity! What a wonderful thought! I will gladly work with my kids as long as they’re happy to do it! Putting it on the calendar is a great idea! I agree, a positive mindset makes all the difference in juggling our happy chaos as moms with passion projects! These are such great tips! Even though I’m not a mom yet, I struggle to find balance between working, the blog, my husband and our home. I can’t even fathom how much things will change when we start our family. Love this. Great tips! I don’t have kids yet but I still struggle to find balance between everything I have going on. I don’t have kids, but I feel like many of the points mentioned in this post can be applied by non-parent business owners. I find it very helpful to bring my family, boyfriends, and friends into my passion where I can. That way I don’t get too isolated. You make a great point! It’s a great idea to bring everyone that’s close to you into your business! Such great discussion points. It’s difficult to find balance. I particularly struggle with baby steps…I want everything done at once! I’ve decided not to start a family until I have already met my career goals. I applaud all the strong women who are able to do it and does it well. It seems pretty hard. Thank you for the awesome tips on balancing myself along with my family! I’m such a giver and always put others first, so prioritizing me and making time for my passions has been a struggle for me. Yes, I believe where it’s possible, we should make room for our passions. They can be so healing in many ways! All some wonderful ideas! I also love that you encourage taking it slow! So nice to have the blog as a family project! Many great ideas in this post! Hi I really enjoyed this article. It is SO tough to balance your passion and family (I’m a single parent so I have peaks and troughs) but yes there are so many good nuggets of advice here. I like putting your passion on the calendar and getting the kids involved. Great ideas! Single parents definitely have to work harder to keep it all balanced. Blessings to you!! Totally agree. If you want to put anything into your life, you need to work into into your daily life. well said ! I love how people are working on balancing their lives. Its so refreshing to see that burnout is not a good thing. I’m glad I came across this post. 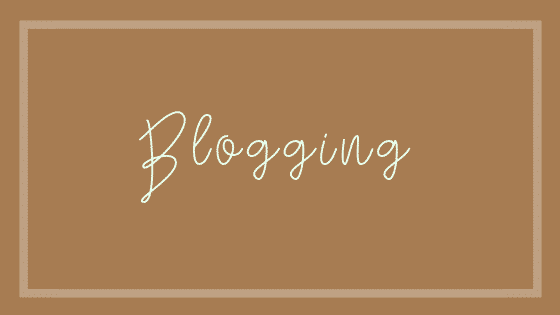 I’ve started my blog for over a year now and am now scaling back a little because I realized that I’m not as attentive to my kids. But I’m re-looking at my strategy and am excited to move in this new direction with my family. I’m so glad you’ve decided to scale back as needed. You won’t regret keeping your family first, even when it’s hard because you also love your passion so much. 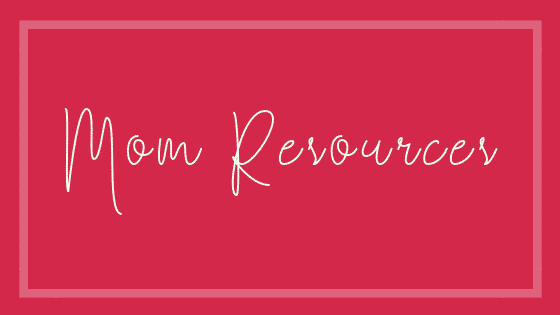 I’ve been learning how to balance my blog, freelance gig, and making sure everything is getting done around the house!